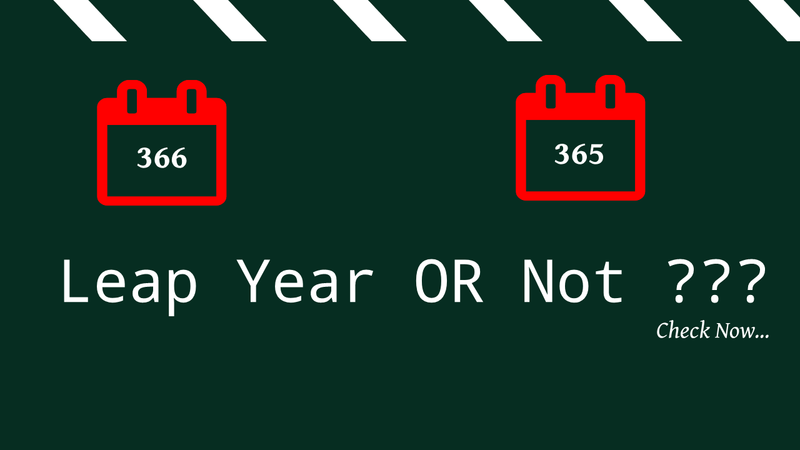 If a year is divisible by 4, then it is called leap year. But all the centuries are divisible by 4, so to check a century is a leap year or not, we check divisibility by 400 of a year. If a century is divisible by 400 then the century is called leap year otherwise not. In the case of 1800, year is century but not divisible by 400, so condition (year%100 == 0 && year%400 ==0), evalutes as false. and the next condition combined with OR(||) operator means (year%4==0) is evaluted and evalutes true. But the second condition (year%4==0) should be evalutes only when year is not a century so the above program snippet generates wrong output in some cases. Above program snipped problem can be fixed as shown in the following program snippet. But as we know, 100 is one of the factor of 400, so if a thing is divisible by 400 then also divisible by 400, so the final version of above program snippet is as given below.